Special Week is currently FULL for 2019. 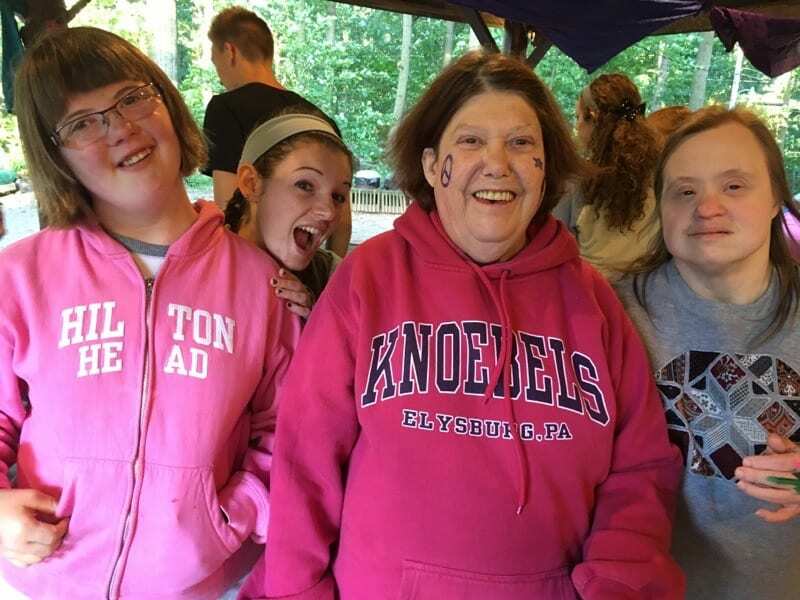 For over 40 years, Black Rock Retreat has been pleased to give adults (ages 18+) with intellectual/physical disabilities an opportunity to enjoy a summer camp experience. “Special Week,” as it has come to be known, is definitely one of the highlights of our year! With opportunities such as swimming, arts and crafts, drama, recreation class, archery class and nature class, it makes for a great week of incredible fun! The blend of activities, caring staff, and a focus on the Word of God makes for a memorable week! You won’t want to miss out on these exciting activities! Parents and caregivers may register their campers online. The paper forms are also still available. View our 2019 Special Week Brochure (PDF) or scroll down for more information. Want to see what our camp is like? Contact us to schedule a personal tour (this isn’t required). Special Week campers will come to Black Rock for a five day residential stay in our summer camp area with our own counselors and volunteers serving as staff and chaperones! The typical daily schedule may be found below, but don’t forget about special events throughout the week like the carnival, olympics, awards ceremony, or any surprises we throw in! On average, we provide one staff member for every three campers, but we do our best to give one-on-one attention as needed. Golf cart and hay rides are provided for those who require assistance with getting around camp, though most of the facilities are centrally located along paved roadways. Campers should be prepared to get some good exercise as they go to and participate in all activities! Campers lodge in modern dormitory style cabin facilities, each equipped with its own bathroom. Three hearty meals are served each day in our air-conditioned dining hall, and we occasionally enjoy an outdoor picnic for either lunch or supper. All of our facilities meet or exceed OSHA and PA State inspection standards. There is at least one Health Care Manager on duty, on site, 24 hours a day to care for dietary needs, administering of medications, handling of illnesses, and First Aid/emergency care. All of our lifeguards are certified, and all of our staff are trained in CPR and First Aid. Registration starts at 10:00am on Monday. Camp ends at 6:00pm on Friday. Campers may check in at Dogwood (the building at end of Oakwood parking lot) and picked up at Oakwood Pavilion. All campers will receive a complimentary theme shirt during registration! To obtain forms pertaining to Special Week, including the paper application, please visit our Summer Camp Forms page. For more information, please contact the office here or call (717) 775-6165.